It's time again for SPx to release its annual set of cards. This venerable brand has been strong for Upper Deck throughout the years. This year's iteration celebrates the past alongside the future. It's a mix of old and new SPx designs. There's definitely a nod to SPx's past, but there are plenty of new designs thrown into the mix as well. The standard SPx base card has been toned done from some of its flashier years. The colors are darker and the design's less loud. Rather than being completely in your face with crazy foil and colors, SPx base cards have become a bit more serious looking. They have become more akin to the rest of the SP line of cards. It's a perfectly good design, but I rather miss the crazy SPx of old where everything was over the top. 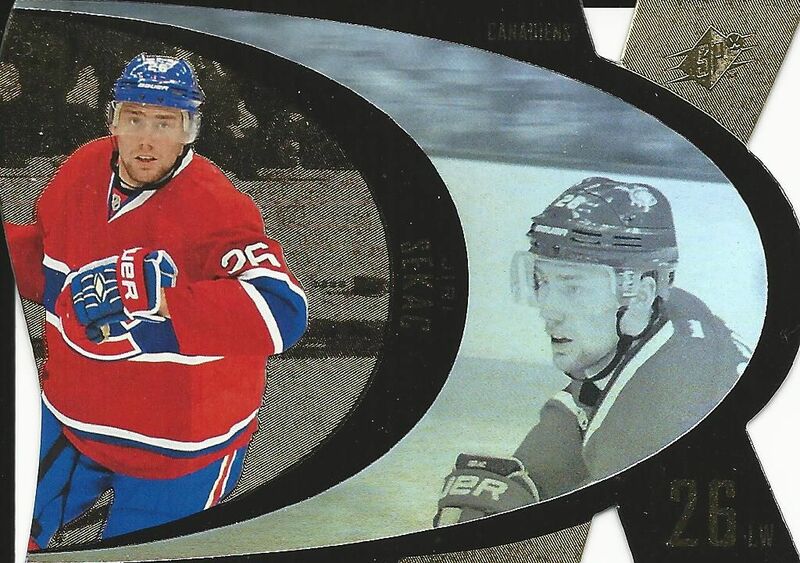 Here, the base cards feature an 'X' in the background with a picture of the player next to it. The gold foil is done tastefully and everything looks fine... it's just not something that could ever be great. The back of the SPx card follows some of the same design cues as the front. You'll notice the 'X' background mirrored here. Again, the colors used are muted and dark. If the fronts were considered serious... then the backs would be super serious. It's a very spartan design that only includes a couple lines of stats. Thankfully, each card has a nice write-up for each player. Next in the base set are the foil SPx rookie cards. These all-foil cards feature a large photograph of the player sandwiched between a top and bottom border element. The card has a nice shine to it, but does not have any serial numbering. These relatively easy pulls look decent, but they probably won't generate much excitement. My favorite of the main set are the autographed rookie jersey cards. These cards really pop in person as the background of these cards come in a shiny dark red foil. The horizontal orientation of the card is just right with ample room for the autograph and good-sized jersey swatch. These are excellently design cards, and I came away very impressed with how these look. The box states that it will contain 4 hits or premium insert cards. Collectors will also find retro die-cuts and a bonus pack with Finite cards in it.Finite cards were very popular a few years back - especially in basketball. I remember some pretty insane prices on a few select cards. SPx Retro die-cuts will probably be the most common find when you open up a box. These cards are a tribute to the SPx of old. I actually remember buying these cards back in the late 90's and really loving them. They were so different! These inserts are not on par with what they were when they were originally released. Those cards were thick and featured holograms that turned. Some real hard work was put into that set. These cards a a bit of a shadow of those. Only in look are these cards in any way similar to that beautiful original set of cards. Parallel versions of the retro cards can also be obtained. 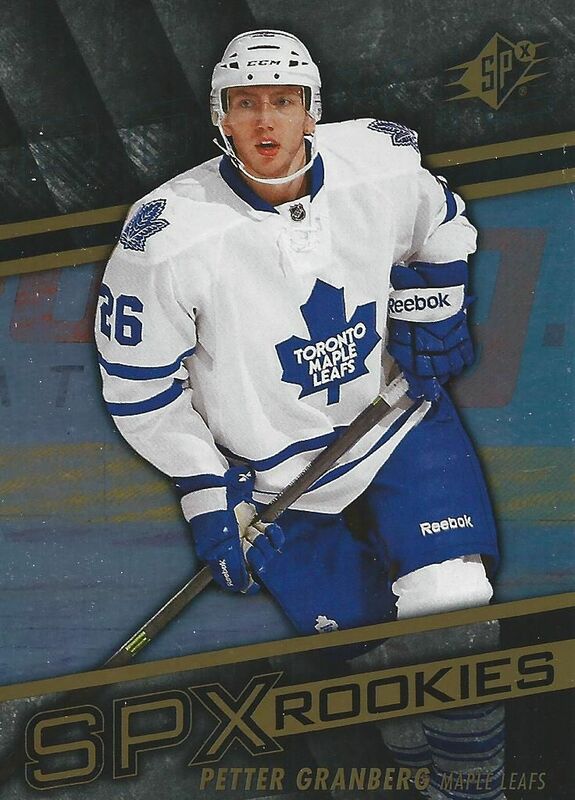 Here's a Jiri Sekac gold card numbered 9/50. The retro set features players from the past, current players, and rookies; it is pretty comprehensive. The Flashback Fabric set is back again. This set has been a mainstay of SPx for a long time, and it's nice to see it back again. I just wish the design were better. 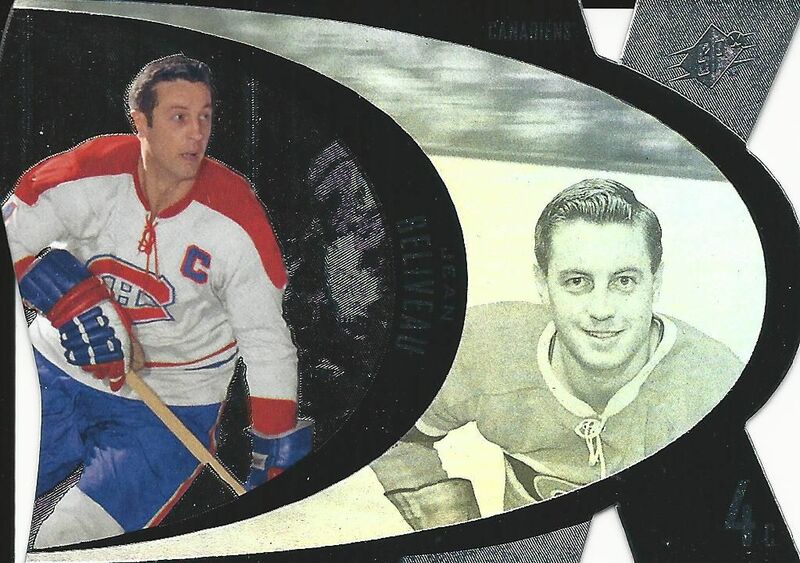 These cards look like they could have came out of Upper Deck Series 1. And the jersey swatch on the card is pretty tiny! C'mon! The bonus Finite pack gives you a pretty thick card that is serial numbered on the back. 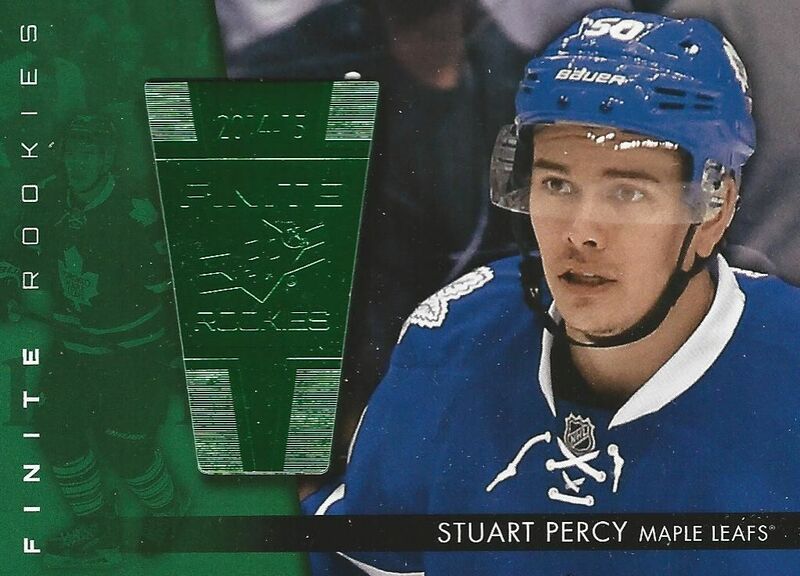 This Stuart Percy is number 213 of 299. Collectors will find different parallel versions of these cards in their bonus packs. Some will even have autographs. Patch variations of cards and also Shadow Box cards can be found in SPx this year. There are plenty of rookie themed sets as well. You'll just have to open your own box and see what come out! SPx has released yet another version of itself this year. Though some of the designs are really nice (like the rookie jersey autos), many of the cards are underwhelming. I'd have to say the inserts and hits are also a bit lacking in terms of innovation and excitement. I expect more from SPx than what it came out with this year. Boxes of SPx are a little over $100 each. 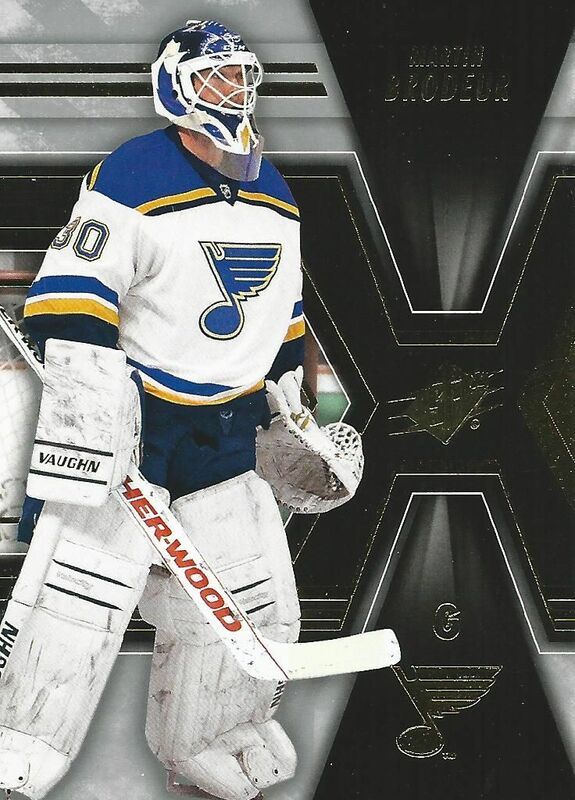 Unless you're a big time SPx nut, I'd just give some a try and wait for the other Upper Deck products to come out. It might be SPx's time to follow SPGU's lead and get a make-over! Okay box good cards (lazer) is my fav. This product never thrills me. Good box! 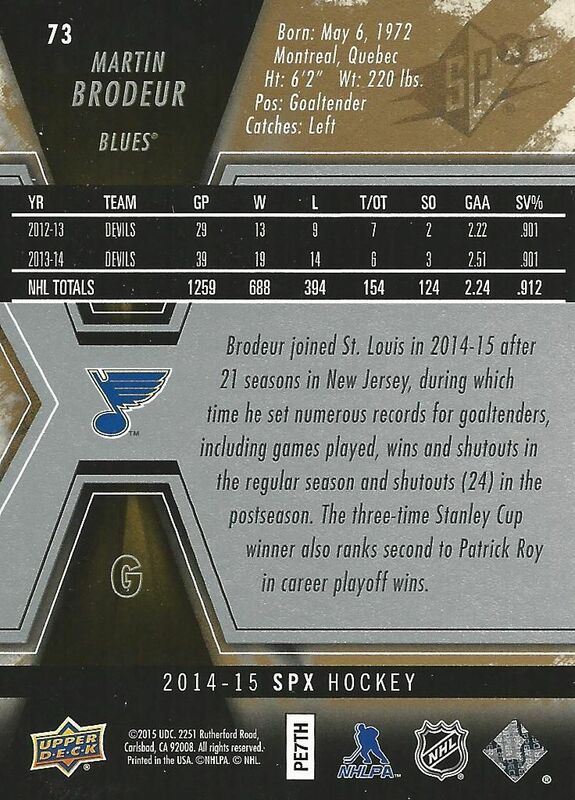 It's weird to see Brodeur in St.Louis uniform! Kind of disappointement to see the product .. I was hoping something better .. Still, nice review, nice video ! Keep up the good work !! Nice Sekac and Lazar! Cards look nice but in my opinion SPx costs way too much for what you can get. I will put my money on Series 2 instead. Nice break and nice review! Good average box, Lazar is a good rookie! I love the SPx product but they but to much of retro card. Nice lazar and sekac! Nice Lazar! Kind of disappointed with SPX, but you did well! Sweet Lazar and Clendening rookie jersey cards! Have to say that the SPx box break wasn't as exciting as Upper Deck hyped it up to be, but glad to see that you were able to have some decent pulls. Definitely a fair rating on the product from your personal break. Btw, what happened to Chris? I think that this product is very plain and not exciting at all. Its the standard box with a couple of jerseys and inserts. 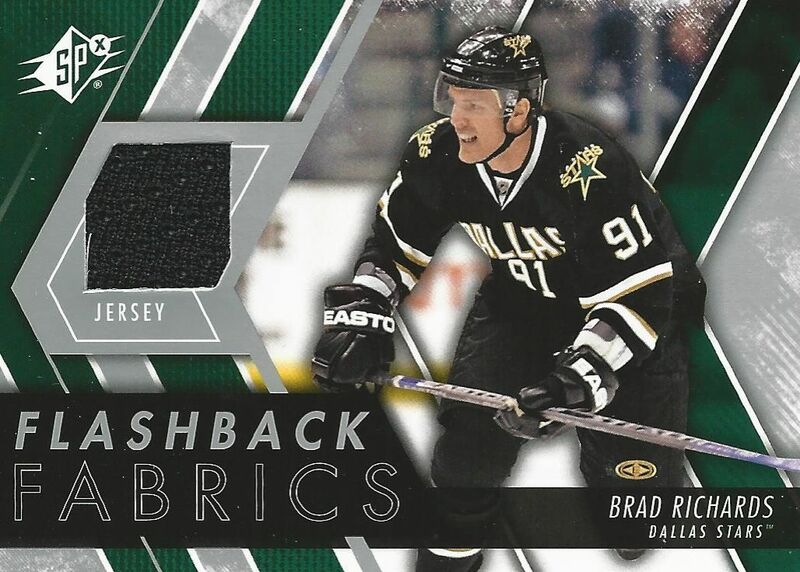 One thing I'm happy about in this years product is the fact that the jerseys and patches on the rookies are finally decent size and not the small little windows that are typical for UpperDeck products. Still seems a little pricey for four hits because the regular rookie jerseys are numbered pretty high and nothing else but parallels seems to be numbered. looks nice but not many hits. I prefer spa more but still nice box. Nice review on the box! I like to card design. I was thinking of buying a box of this until I saw your break. Not really a fan of the inserts; looks boring. The stickers are a turn off. You were short a hit (that exclusive insert being a hit is some bullsh*t). Damn the hobby is losing me. $135 a box in Canada! + The base cards and rookie cards works pretty well in this product. - It feels like UD have gone 5-10 years back in time to find the design to the most of the hits/inserts. They look very boring to me. Nice box! 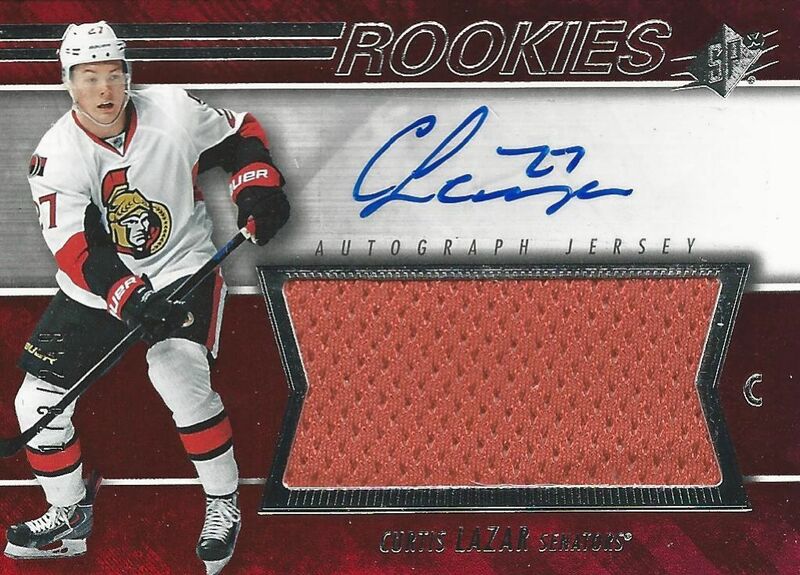 I love the flashback fabric cards in this set and I love that Lazar jersey/auto! As someone who can't afford to buy a box of this, I really liked watching you open it and also your review. Personally I don't think it is worth over $100, but there were some decent hits, and being a Hawks fan I liked the Clendening and Richards. Wow nice box want that Lazar !